Day Care is a time for barking, playing, and tail wagging! It is supervised at all times to ensure the safety of each dog. 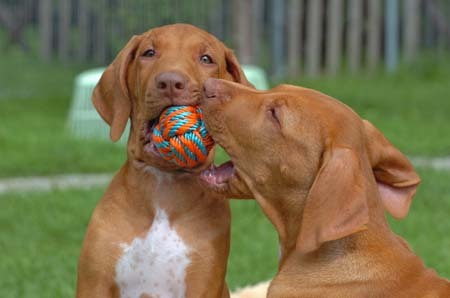 We group dogs together not only based on size, but also age and play style. Playmates are divided into groups of 15 dogs or less so that everyone can have a good time! If your dog has any particular needs or habits, please let us know so we can accommodate your dog while he is here. Want to make a Day Care or Boarding reservation? Click Here. (during normal business hours), please call us at 901-509-0909 to confirm your appointment!